I die cut the apple tree, twice, but no branches this times, from Soft Finish 85 lb. White card stock. 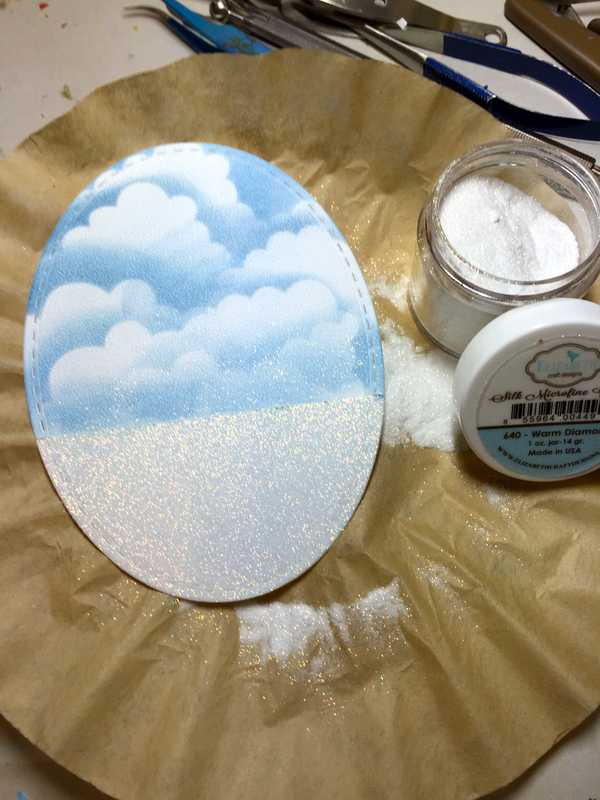 I added Clear Double sided adhesive to the center Stitched Oval so Silk Microfine Glitter/Warm Diamond could be applied to create snow. The sky is a deeper blue with PanPastels/Phthalo Blue Shade from Set 3. 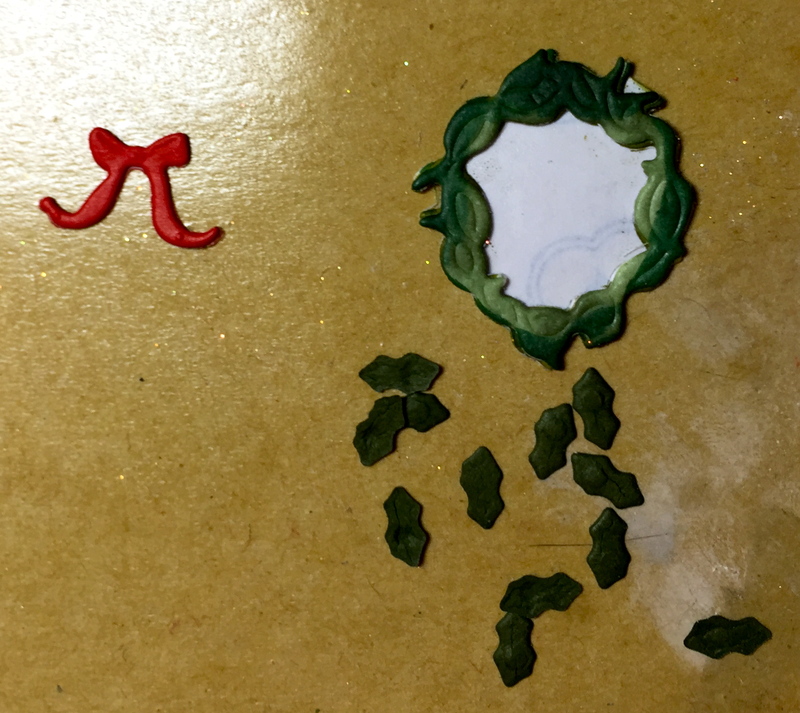 For the Winter scene, I also die cut my CountryScapes Build-a-Snowman pieces, Critters 4/Owl, Critters 2/Fox, Backyard/ 3/Wreath, Backyard 4/Snow Mounds and Garden Notes/Holiday Holly & Berries. 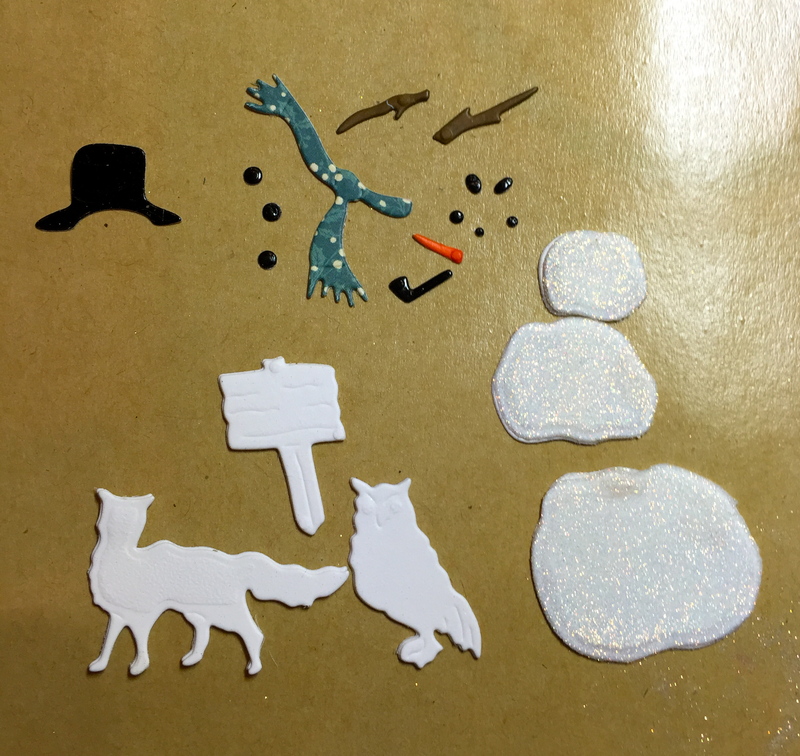 The Snowman was die cut with Clear Double sided Adhesive on the front, as well as the back, so Silk Microfine Glitter would adhere to it. 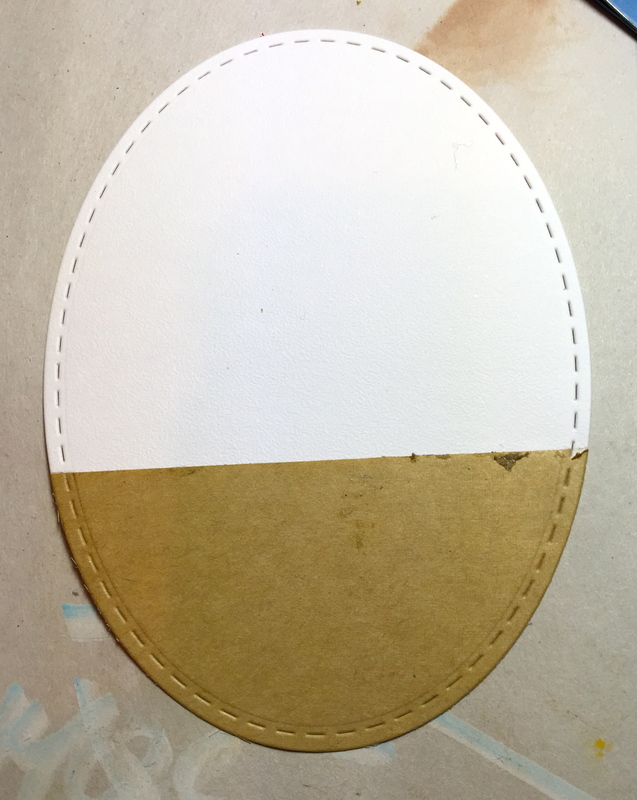 Assemble the Stitched Ovals as in Steps Two and Three from Spring~Day 1. 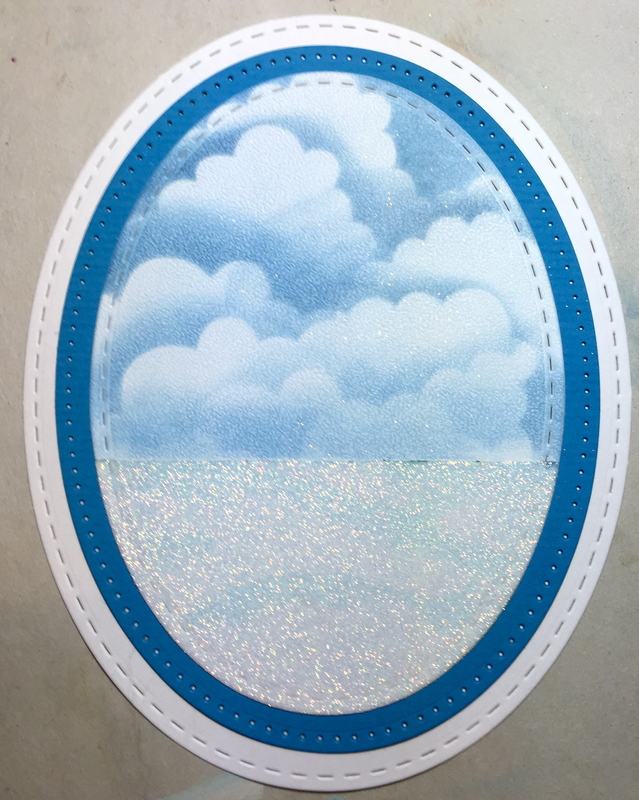 You will probably noticed, I changed the second largest Oval from Turquoise to Cornflower Blue to match the sky better. 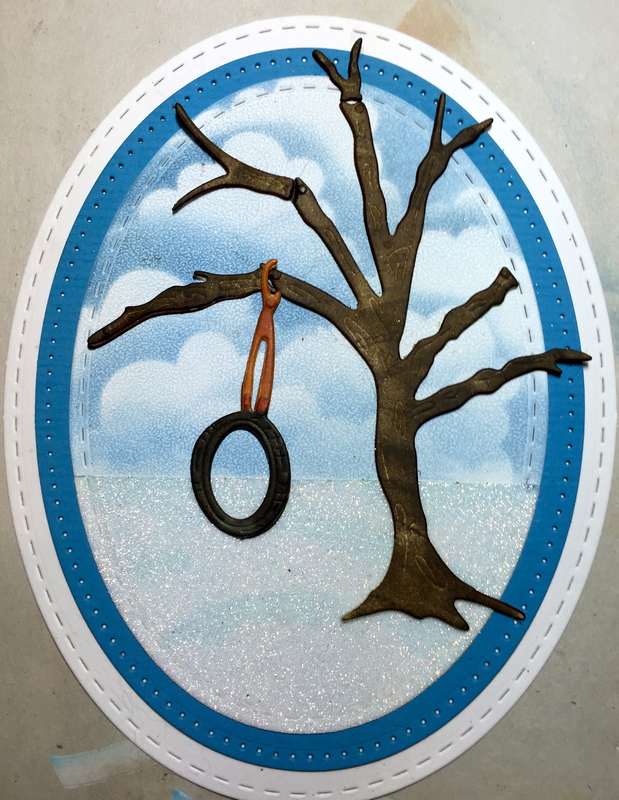 Color the Apple Tree and assemble on the Oval, adding the tire swing. Color the Owl and Fox with a combination of Copic Markers and PanPastels. Shade the sign and print “Gone South” with a UniBall black pen. Assemble the Snowman and set in place the critters. I colored the wreath and then placed the mini Holly Leaves around, after adding a stem line with my Leaf Tool on the Leaf Pad. A few Prills/Red is Right created the dimensional berries on the wreath. As a gardener, I appreciate all the Seasons and how they mark our lives. I still have plans to create a framed piece and check out the Give Away that goes with these Posts! I love the cloud making technique. This is so beautiful! I’m not a big fan of foxes, but this one is well done! Not my favorite season but this card is GREAT! It captures the sparkle of fresh fallen snow, the cutest snowman and fox and lovely wreath. The white owl is super and I absolutely LOVE the sign — that’s exactly where we go at this time of year. LOVE, LOVE this card. This is so perfect for Winter! 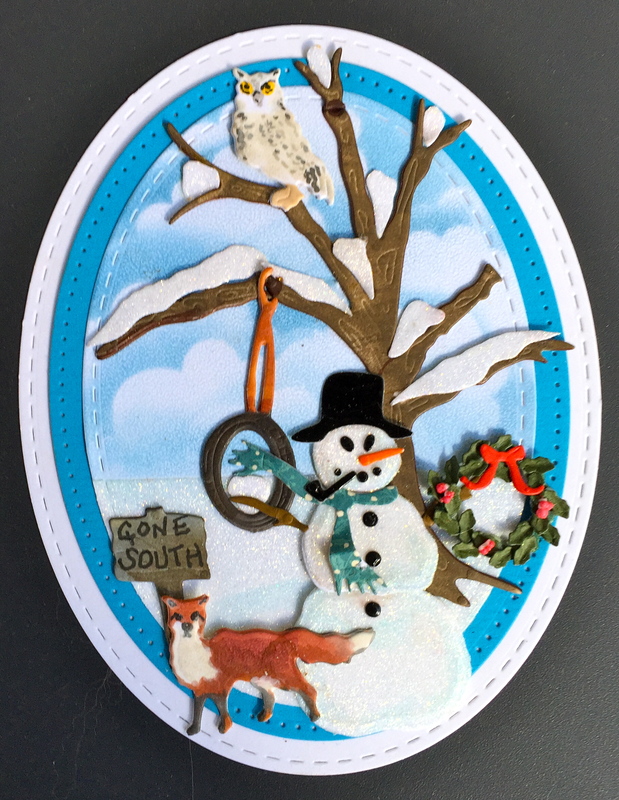 I’m not sure what my favorite is, the owl, the fox, or the glistening snow, the snowman or the sign that says “Gone South”. Which is where I’d like to be right now. All the season cards are fabulous. I don’t know how you think of every detail, but you do! Lots of apparent tedious, time consuming assembly with each one. But, you really can make the seasons come to life! Thank You for sharing your fabulous creations! Amazing Snowman and owls are my all time favorite, I love everything you make so it’s so hard to love one more than the other. I Love all 4 cards!! My absolute favourite is ‘Winter – Day Four’!!! I love this season because of how the pristine, white, glittery snow covers everything after a freshly fallen snowfall and makes everything sparkle. You can never have too much sparkle!! Another reason I love winter is because of my favourite holiday; Christmas!!! I love these cards. I can’t wait to try one of them. Your tutorials look so helpful!